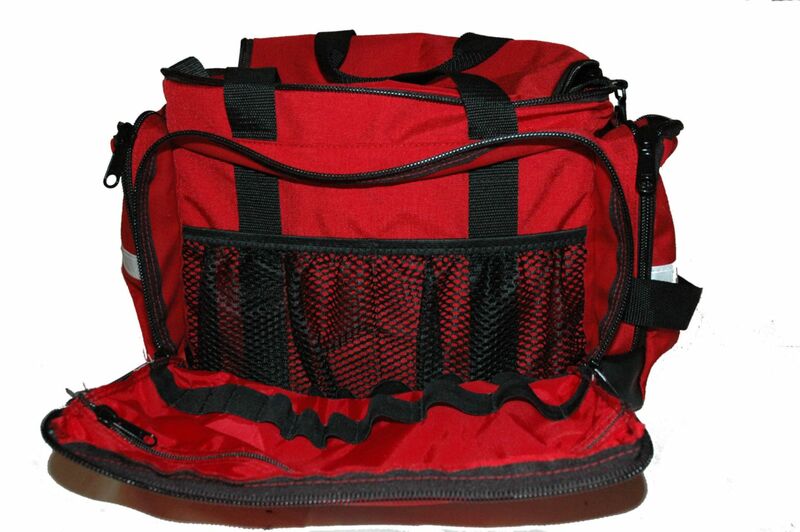 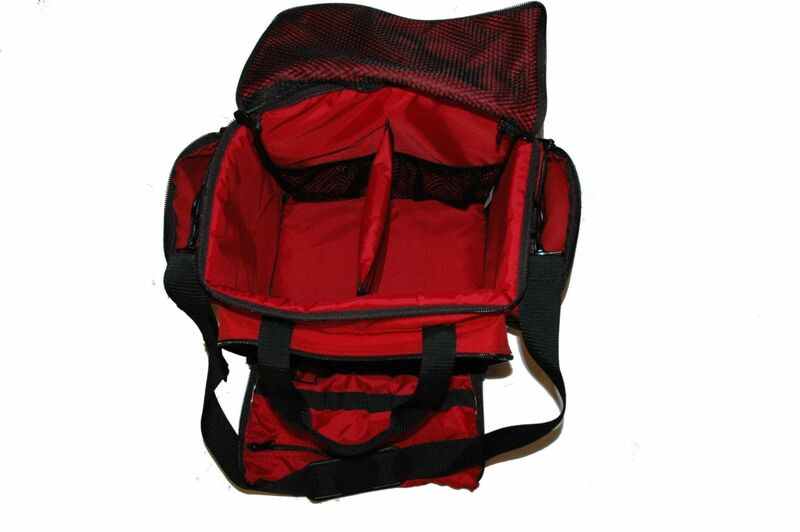 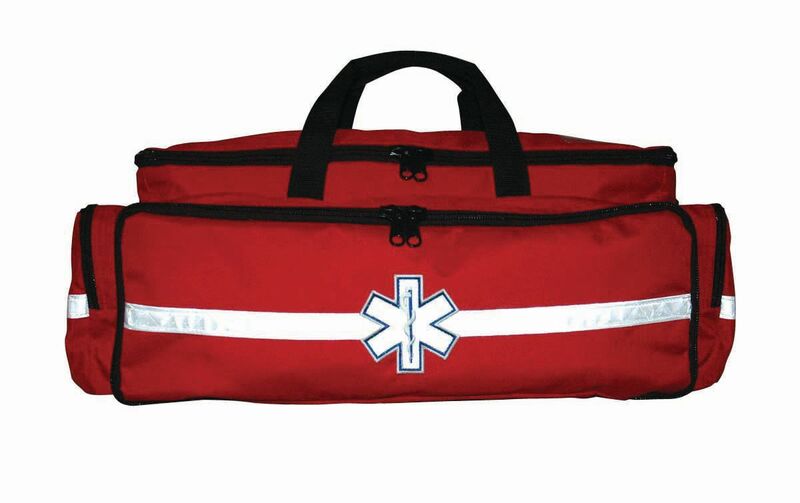 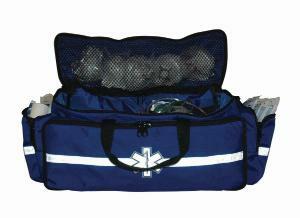 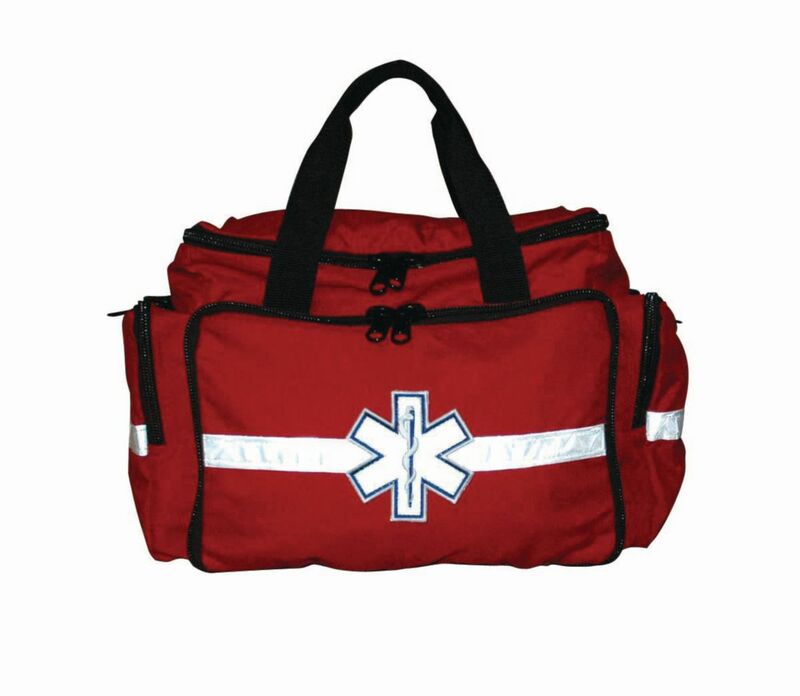 Easily-accessible main compartment, ten inside pockets, four outside pockets and numerous elastic hold-downs. Removable padded insert to hold "D" size oxygen tank. A small case is also available with Six interior and four exterior pockets. The smaller bag will not hold an oxygen tank.